As shocking as it may seem Undertaker did finally retire from his long reign as the Phenom from the WWE. But there is a lot of people that are now asking why. Why now? And Why with Roman Reigns? Undertakers career is quite extensive. Starting out in 1984 when he first was introduced in the industry to today when it does not seem like you can even mention the WWE without mentioning the Undertaker. Mark Calloway (Undertaker) has been in the wrestling industry for over 30 years that is a feat that not many have seen or let alone done. Superstars and the audiences alike have often wondered what it was about the Undertaker that made him so different from the rest of the wrestlers over time as the wrestling industry changed. Some wonder if it is being how he played from people and their fears as he would use the morbid scare tactics of the tombstones and the fear of being buried alive. Or was it the fact that over time he seemed to change with the time. Making his moves better in the ring, making them deadlier? 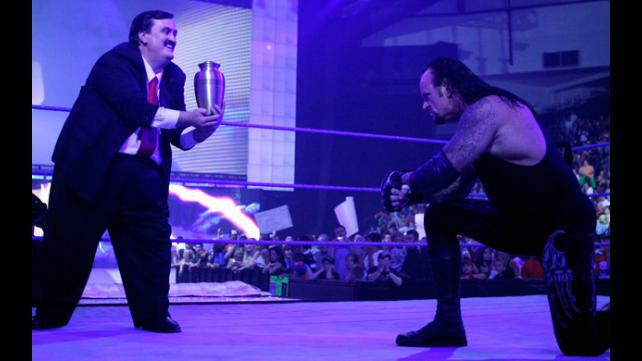 In fact, it is proven that over time there were 5 matches that were made specifically for the Undertaker. Since WrestleMainia 33 on April 2, 2017 the audiences and wrestling nation everywhere has let their voices be heard on how they are not happy on how they just let Roman Reigns just take over where Undertaker left off. For a lot of people, they feel like the Undertaker was wronged in the way that they just let him go. A lot of the wrestling audiences feel that Reigns was just handed the Takers spot if you will in the industry and it does not feel right. But either way get feeling better Undertaker now you can Rest In Peace with your children and family.